The Digium 1A8A04F 8 Port Analog Card supports 8 connections in an Asterisk System. The 1A8A04F is compatible with all versions of Asterisk using the DAHDI driver framework. 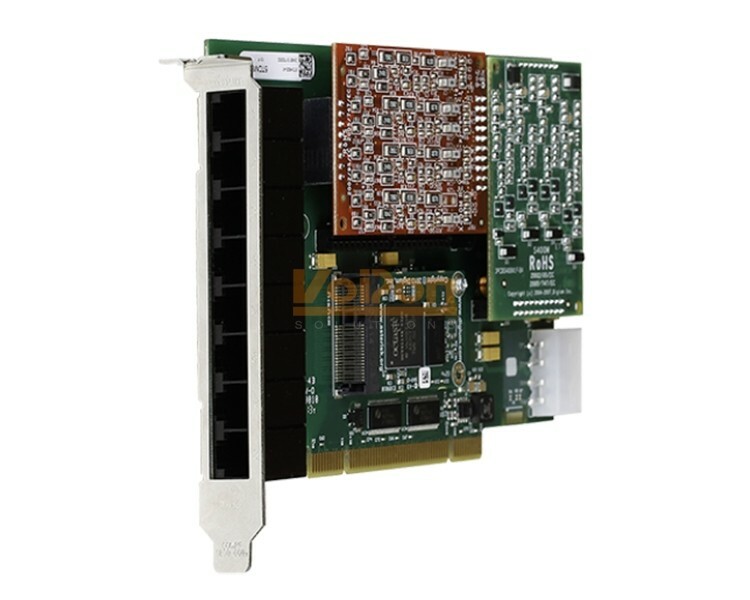 VoIPon - your Digium 1A8A04F 8 port modular analog PCI 3.3/5.0V card with 4 FXS and 4 FXO interfaces and HW Echo Can[1A8A04F] distributor, supplier, reseller! Get all your wifi at VoIPon! If you would like to be notified when the"Digium 1A8A04F 8 port modular analog PCI 3.3/5.0V card with 4 FXS and 4 FXO interfaces and HW Echo Can" is re-stocked, please enter your contact details and we will notify you instantly.